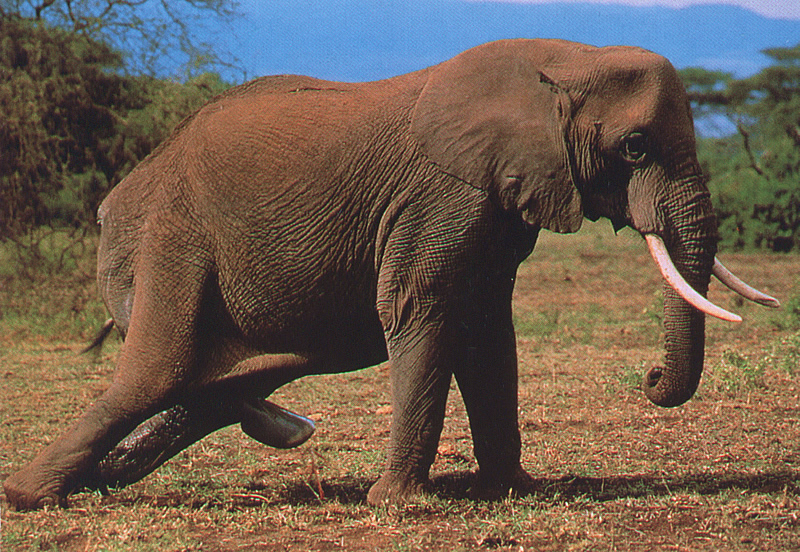 Why are elephant births important? Every birth of an elephant, as well as in nature as in zoos, is very important for species conservation because both African and Asian elephants are menaced of extinction. Why does the same apply in zoos? 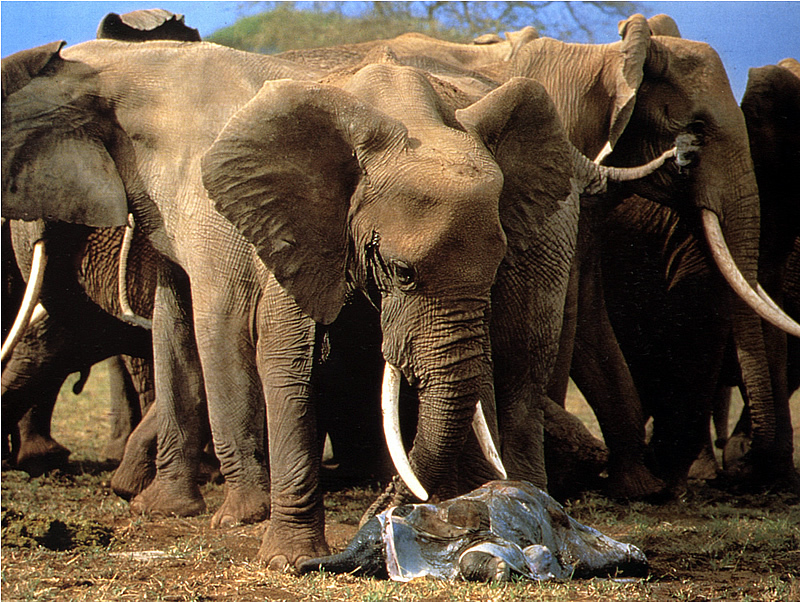 In most zoos, the existence of elephants is superannuated and still comes from the time of ruinous exploitation of nature. Today, according to the “Washington Protection of Species Agreement”, hunting, catching elephants and trade with them is prohibited. 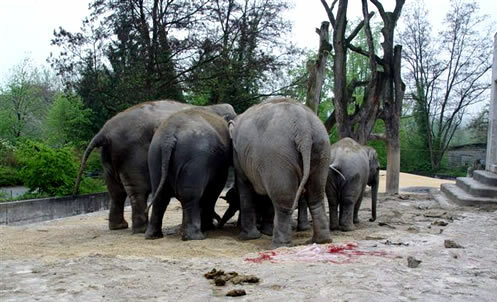 If the zoological gardens want to continue to show elephants to their public, they have to give them the possibility of reproducing themselves and bring up their offspring appropriately for their species. What does the birth of an elephant mean to a zoo? In a zoo or a circus, an elephant´s birth always is a great event- for the elephant herd, the elephant keepers, the zoo visitors, the media and of course also for the book-keeper. An elephant´s baby attracts more than 10´000 additional zoo visitors. The elephant keepers start night-watching and the pregnant elephant cow is being locked in the so-called brood box overnight. There, the elephant cow has more silence and her own food. No other elephant can dispute her her right to it. A keeper observes the pregnant elephant during the whole night and reports his observations to his colleagues and superiors. The veterinary prepares himself for all possible complications. The zoo visitors and medias almost burst with curiosity and want to know again and again when exactly the little elephant will be born. How long does a birth take? The birth itself mostly drags on for two nights. During the first night, so-called call labour pains come on the cow elephant. She lloses mucus and mostly the mucus plug as well. 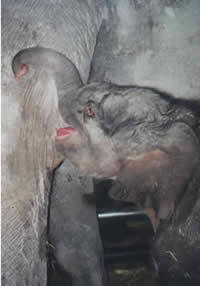 During the call labour pains,the elephant calf goes to its final birth position. During the second night, the actual birth, which is introduced with second stage contractions and goes on until the early morning hours, starts. Shortly afterwards, the around 20 kg heavy afterbirth is ejected. What does the birth of an elephant look like? 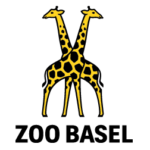 The last birth at Zurich Zoo, 17.06.2014, take place in the new and modern elephant house. In Protected Contact, with any direct influence of the elephant keepers. The first attempts to get up and walking still failed, but the newborn can stand alone after 10 minutes. Soon the elephant calf begins to find the mother’s breast and drink from the precious mother’s milk. The mother’s milk will be the main food in the next six months. Gradually, however, the elephant baby will also be interested in carrots, hay and leaves. Only with about 3 or 4 years the elephant calf will dispense completely with the milk.